Remember the cable coat? Before Luke and I jet off on our holiday, we’re going to Germany tomorrow morning and come back 13th August, I thought I’d leave you with a picture of gorgeous Sophia in the cable coat. Fire lighting at Forest School. Remember I posted about the red cable coat earlier this month? Well, my friend Heidy liked it so much she asked me to knit one for her daughter Sophia. So, I managed to do just that a couple of weeks ago. For this one I’m just going to let the pictures do the talking. (Also, because I just spent 20 odd minutes writing up the post and it didn’t save for some reason). I’m half way done with the wedding blanket, and I’m taking a break from it at the moment. Instead I’m working on a hooded cardigan/coat for a friends 3 year old daughter in Australia. I’m using the basis of a Debbie Bliss pattern, but adjusting it to a 4-year old size. Here’s a quick shot of where I’m up to. 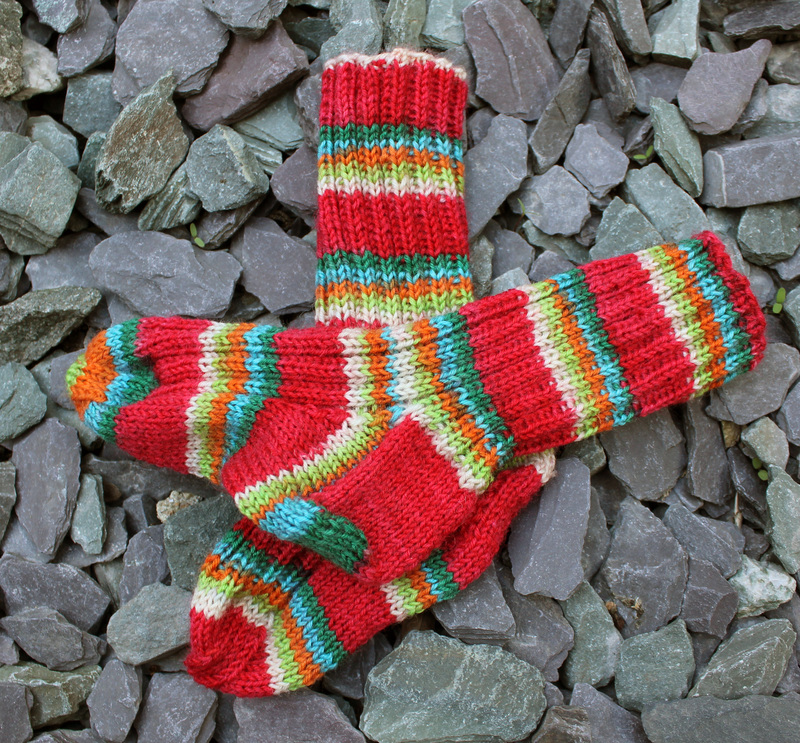 Wishful thinking…hoping to get some knitting done in the sunshine. Olympic coins given to Luke at Forest School. First pillow and duvet, with funky circus linen. Just discovered a new cupboard…oh what great toys! Luke’s ever growing shoe collection. More flowers on my tomato plants, should see some tomatoes soon! I knitted the bonnet to match the cardigan and love the cables on it. I think it’s going to look really amazing on a little persons head. It’ll keep her head warm and look adorable at the same time. I also added a picot border to the front to add that little bit extra. I also crochet the string to tie the bonnet, and I think I might go back to crocheting, rather than making an i-Cord in the future. It’s much easier. And here’s the bonnet with the cardigan/coat. Looking forward to seeing it on little Bonnie when she grows into it. The lovely Roberta from Rowantree Design sent Luke another amazing parcel from Australia. It arrived last week and I managed to take some pictures of the gorgeous shirts that were in that parcel. They’re just so amazingly adorable and I can’t wait for Luke to wear both of them. The first one is a gorgeous retro long-sleeved shirt. I love this design and I think Roberta is a genius for creating such amazing clothes. She also adds amazing details, like this little gem on the side of the pocket. And the second shirt is a gorgeous and sophisticated blue with tiny polkadots, another winner. And as I’m working on getting myself set up better, I’m inspired by Roberta’s label and everything else she includes with her pieces. And what about this adorable little added tag? And last but not least Roberta also included a gorgeous silk scarf for me…which I love! Just waking up from a nap. Back to his usual self, at Forest School. Poppies on the way to ‘Acorns‘ our Thursday Rudolf Steiner playgroup. A cool graffiti artwork on the way to the shops. A star in the making. Torrential rain in Greenwich, at least we were spared the floods that occurred around the UK last week. A very good friend of mine from school just had a little girl, her third child, after two boys. So, I got started straight away on a cardigan and bonnet combo for her. So, initially here’s the cardigan. Yes, you probably guessed it, it is another DROPS pattern. And I think it might become a favourite. 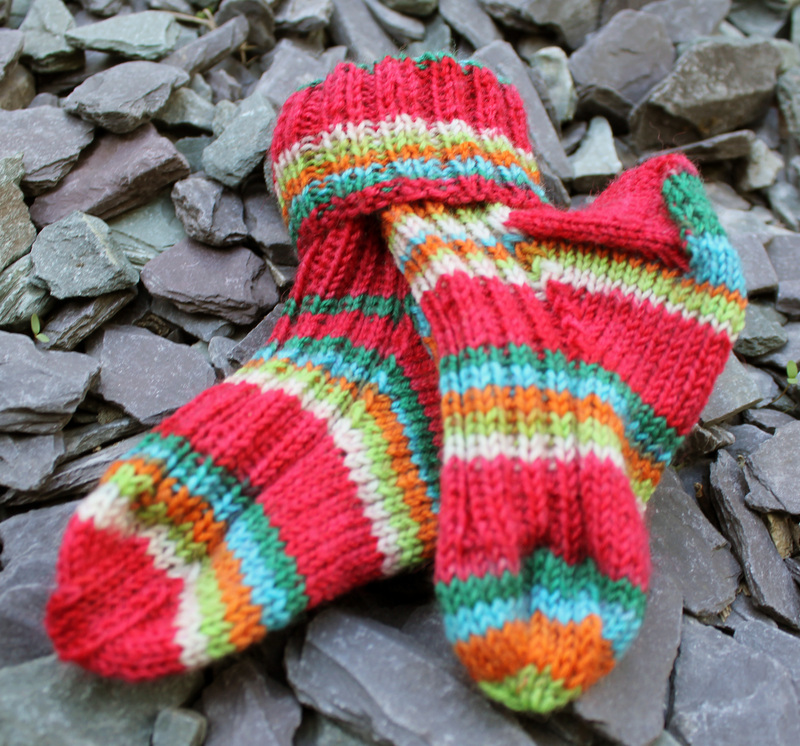 It’s really easy and quick to knit, as it calls for DROPS Merino Extra Fine. Even though its name suggests fine, i.e. thin, it’s actually quite thick and knits up really quickly. The other thing I love about the pattern is the fact that there was hardly any sewing to do. I did change it slightly and instead of knitting the sleeves on double pointed needles I knitted them back and forth. I started knitting them on DPS, but the sleeve just seemed too tight and due to the thickness of the yarn the stitch between the needles looked quite loose. So, that meant that there was a little bit more of sewing up to do on the sleeves, but apart from that no other sewing up. The cables on the front next to the button band were really easy and look really nice. They just tie the front together very nicely. The cables at the top added to the raglan and lead nicely to the neck and the collar. I added a picot border to finish off the cardigan. At one point I was thinking about a contrast border, but as I wanted to get this posted off to my friend I stuck with the red I had so that I could finish it quickly. The buttons are from TextileGarden and I’m glad that I finally had the right number for one of my pieces. Normally the patterns I knit call for 3, 4 or 5 buttons, never 6. So this was perfect. My friend received the package and she loved the cardigan. I also knitted a bonnet for her, but I’ll blog about it later this week. I will visit my friend later this month and then hope to meet her little girl. I think it’ll be a little while before the cardigan will fit, but that’s because I did knit it in a bigger size. So, you might have to wait to see a FO on a baby. My friend in Northern Ireland that ordered the blue and white vest also ordered some socks for her friends boy. 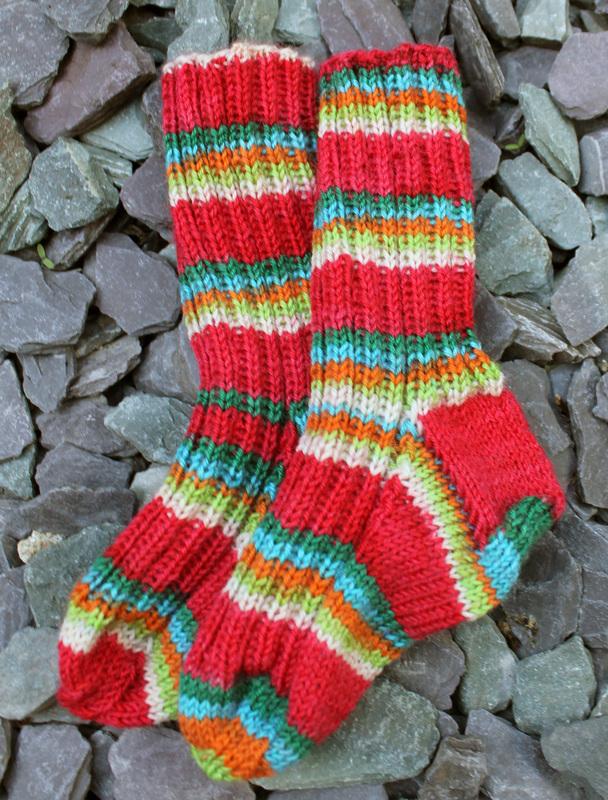 These are my old tried and tested pattern and I used some of the leftover red sock yarn. I think they’ve turned out lovely again.